On the day of her breast cancer diagnosis, Deborah Cohan, a physician, HIV researcher and mother of 2, realized this cancer could become her greatest teacher. She named her cancer Izzy and invited the cancer to teach her about living life fully. Izzy’s first lesson was that dance would be Deborah’s most potent medicine. Deborah danced her sorrow, her confusion, her fear of death and, in doing so, created space to dance her joy and exuberant love of life. She wanted her community to join her in this celebration of life, so hosted a virtual flash mob to Beyonce’s “Get Me Bodied” just before her double mastectomy. The OR team joined in the dance and a video captured by the anesthesiologist went viral, with over 8 million views to-date. Izzy’s second lesson was that we are all interconnected. People worldwide, from Louisiana to India, Rwanda, Norway and the Canary Islands, became inspired to dance and created copy-cat videos. Other patients have since started dancing in the OR before their surgeries. Before her double mastectomy, Deborah Cohan, a physician, HIV researcher and mother of 2, prepared her body to say yes to surgery. She danced the day of her breast cancer diagnosis and nearly every day leading up to her surgery. Deborah consciously explored her fear of death through dance and gained perspective that her dancer cells were plentiful and cancer cells were few. The day before her surgery, she joyfully danced, over and over again, to Beyonce’s “Get Me Bodied”. This “somatic imprinting” linked the song to joy in her body. Deborah then invited her friends and family to dance to “Get Me Bodied” wherever they happened to be at 7:30am on November 5, 2013. Instead of being cowered in fear, Deborah walked into the operating room unmedicated and danced ecstatically with her surgical team, feeling intimately connected to her community who joined her virtually in this dance. Not only did Deborah feel fully prepared for surgery, but also the surgical team was energized and jubilant. Other patients, from children to the elderly, have since started dancing in the OR before their surgeries. Deborah Cohan M.D., an obstetrician and gynecologist, is the Medical Director of the Bay Area Perinatal AIDS Center and Clinical Director of the National Perinatal HIV Hotline and Clinicians Network. In addition to treating patients, Dr. Cohan is a Professor in the University of California San Francisco Department of Obstetrics, Gynecology and Reproductive Sciences as well as the Department of Family and Community Medicine. Her research interests include perinatal HIV, malaria and reproductive infectious diseases. 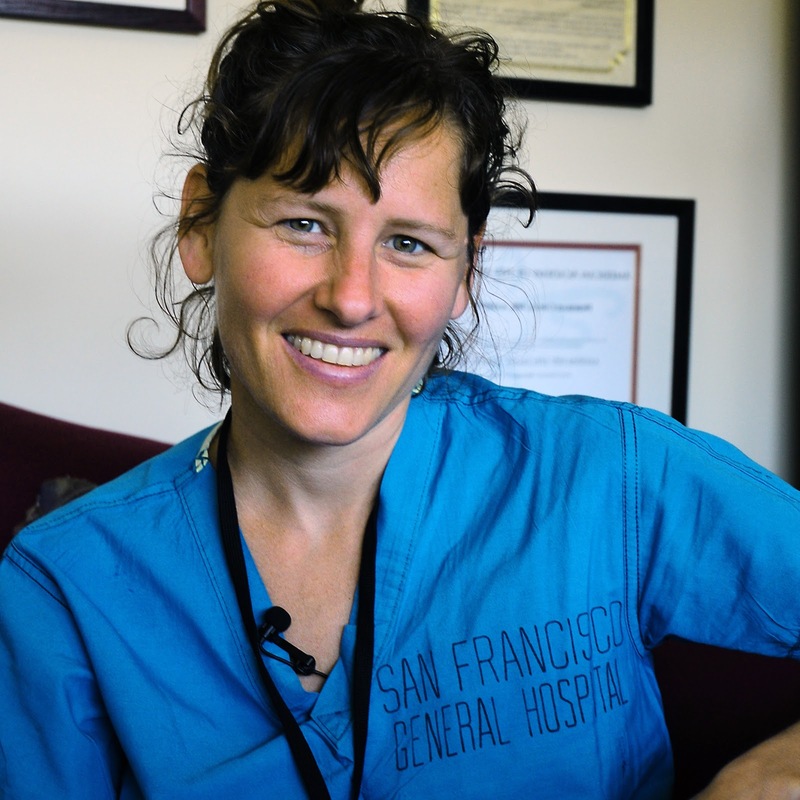 Cohan received a medical degree from Harvard Medical School, completed a residency in obstetrics and gynecology at UCSF, and completed a fellowship in reproductive infectious diseases at San Francisco General Hospital. She is also known as the “Dancing Doctor” who inspired millions with her YouTube video dancing before her double mastectomy one year ago. Deborah was honored by Microsoft/BING as one of the 10 most heroic women and the Huffington Post as one of the “10 Women We’re Grateful for This Thanksgiving”.